Personal Training in Overland Park Client Loses 15 pounds! Home/Success Stories/Personal Training in Overland Park Client Loses 15 pounds! 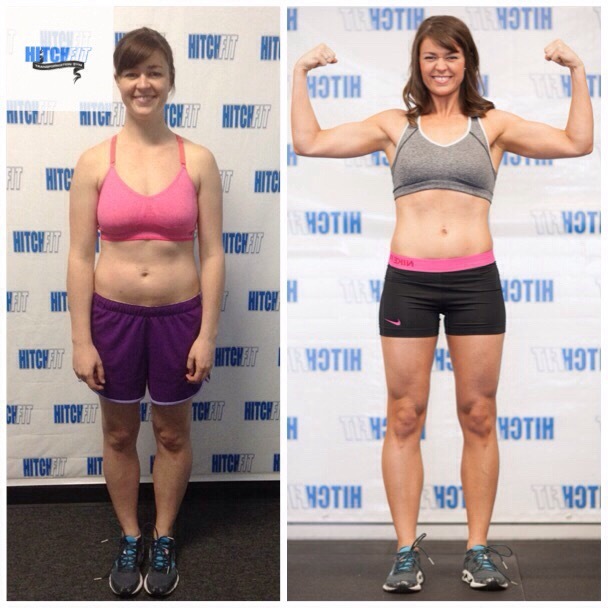 Transformation by Hitch Fit Gym Overland Park Transformer (Personal Trainer) Amy Gipson! 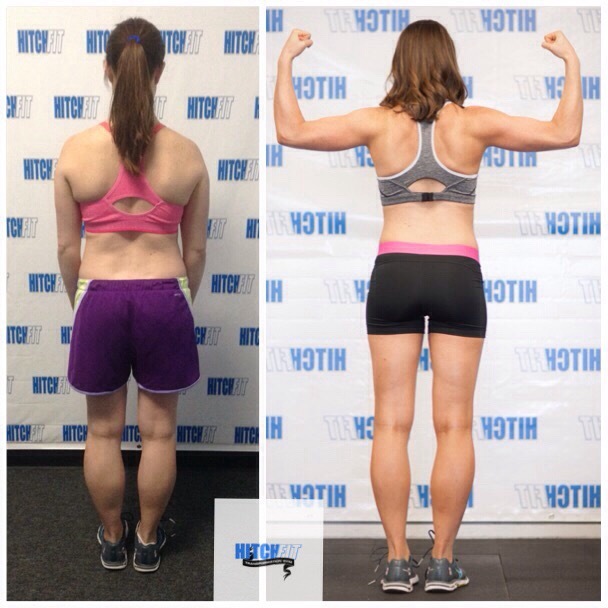 Personal Training in Overland Park Client Libby Loses 15 lbs, 7% Body Fat and is Strong for Her Triathlon! I had the pleasure of working with this amazingly strong and beautiful woman this year. Everyone please meet Libby! She came to me just needing some motivation and nutrition guidance. She just really wanted to feel better about herself and strong enough to complete a triathlon she had signed up for. Each week Libby impressed me with how disciplined she was even through her traveling adventures. She got stronger and stronger each and every time and before we knew it Libby reached her goal and changed her overall eating habits. She competed in her triathlon without “dying” and I am so proud of all she has accomplished. Libby, I will miss our intense, uplifting and fun workouts but I am more than confident that you will continue to succeed in your lifestyle change. Personal Training in Overland Park client loses 7% body fat and 15 pounds. 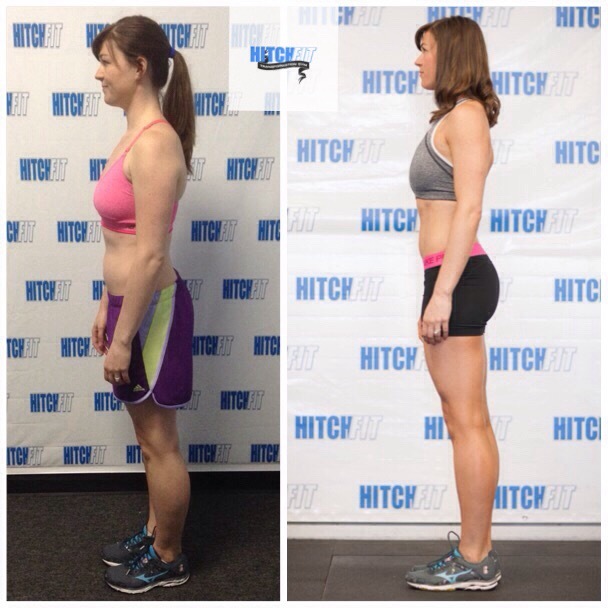 Overland Park Personal Training Client loses 7% body fat with Hitch Fit. “My name is Libby, and I am 28 years old, married and have lived in Kansas City around six years. I love planning travel adventures to new places, enjoying farm-to-table fare and spending time with my family & friends. I aligned my transformation, with a triathlon that I signed up for that took place on July 28 – approx. 30 days into my training. I began with the goal of getting good enough shape that I could complete the triathlon feeling strong and not stopping. (or keeling over and dying) I wanted to feel good about the way I look and feel, and motivation to enjoy working out again. I have always been very active and athletic, in high school my competitive drive lead me to eight high school state track running championships. (glory days fist pump) In college I would run daily and joined any intramural team that I could. But, like anything fitness and nutrition comes in ebbs and flows. I had been in a “workout rut” for about two years. Having lackadaisical workouts and never pushing myself at the gym. Amy made working out challenging and enjoyable again! I looked forward to my Monday and Wednesday evenings, and I felt so good after my workout was complete. I knew that I wanted to push myself outside of my workouts to make my time worth it. Lifting weights and cardio were fun again because of the results I started to feel and see. Not only were the workouts important goal for me, but I wanted to learn more about nutrition and what I should be eating. I have always taken the approach when choosing what to eat as, “everything in moderation.” With that said, I rarely took the time to read a nutrition label and if I did I had no idea what I was looking for or what should be a daily goal for caloric intake, protein, carbs, etc. The hardest part was the diet changes. The first couple weeks were rough, but my husband was so supportive. He would eat the meals with me, and make sure I was staying on track. Amy always reassured me that I was doing a good strong, and to stay motivated. I loved coming to the gym in Overland Park and looked forward to my two workouts each week. Amy was always so upbeat and positive – it was exactly what I needed during this process. It was the perfect combination of support and strict coaching. She made sure that I pushed myself outside of my workouts, and help to set realistic, but high expectations. When I met a goal she always helped me to celebrate the small successes but stay focused on the end goal. I had to travel a couple times for work, and she was so reassuring and had great suggestions.